The Lycan Powerbox is a portable solar storage solution that puts abundant, natural energy right at the tips of your fingers. Keep 100% solar power ready to go in case of an emergency power outage, take it with you for camping trips or just use it when needed as an Eco-friendly alternative power source to lighten your homes electrical load. After a few hours of charging from a solar panel, wall outlet or 12-Volt car charging socket the Lycan Powerbox can be used to power up a number of appliances and devices without the noise and pollution of traditional gas generators. Lightweight and rugged, its the perfect little powerhouse to keep you going for up to 1075-Watt hours. And as the first portable solar storage with interchangeable batteries, its easy to keep the power flowing for hours on end. Tbook.com crawls the web to find the best prices and availability on Generators and related Tools and Hardware products like Renogy The Lycan Powerbox Solar Power Generator. For this page, related items include products we find that match the following keywords: "Generator GENERATOR" at our vendor partner Home Depot. 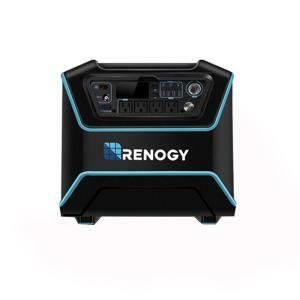 Renogy The Lycan Powerbox Solar Power Generator is one of 152 Generators and related products listed in the Tools and Hardware section of Tbook.com If you have any questions on this product, please give us a call at 734-971-1210 during the hours of 9am - 5pm EST for assistance. Thank you for shopping at Tbook.com, the Internet Department Store!